Anniston Star - Good news bears species showing signs of comeback: Evidence of a small full-time population in Northeast Alabama is mounting, according to a story in the Anniston Star. A study of the black bear population at Little River Canyon National Preserve near Fort Payne offered more definitive answers about the black bear population in that area. The study, which ended in October, confirmed what some scientists already were sure of – there is a sustainable black bear population there. Researchers found two female black bears with cubs and evidence of 16 to 19 bears in the preserve. The sustainable black bear population at Little River Canyon didn’t exist a decade ago, Steury said. From Bob Carlton's article on at al.com: Made with 100-percent Italian wool, the navy-colored, double-breasted pea coat is accented with natural horn buttons and leather details under the collar and pockets. That style of coat, which falls just below the waist, was originally worn by European sailors as far back as the 1700s. The internationally famous fashion designer Billy Reid has a big fan in James Bond star Daniel Craig, and one of Reid’s menswear designs has a supporting role in the British actor’s latest 007 thriller “Skyfall,” which opens nationwide Friday. Presidential politics lifts Jefferson County Democrats to victory (analysis) | al.com: When Democrats won all 14 contested countywide races this year, though, the shift was impossible to ignore. Six Republican incumbents were sent home Tuesday. 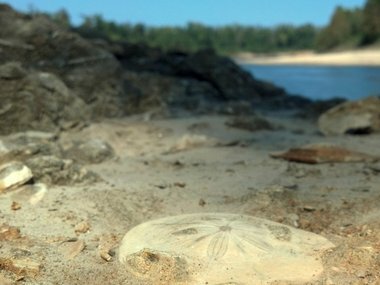 Ancient sand dollars spill from the banks of the Alabama River, hinting at a watery past | al.com: The presence of the oysters and sand dollars so far from the present day coastline has helped scientists understand the dramatic changes in sea level, dating back millions of years. Forty million years ago, most of Florida, and much of Mississippi, Louisiana, Georgia and Texas were underwater, submerged under an ancient version of the Gulf of Mexico. With bluffs along the river south of the Claiborne Dam reaching up 200 feet, Rindsberg said fossils from many ancient eras can be found. 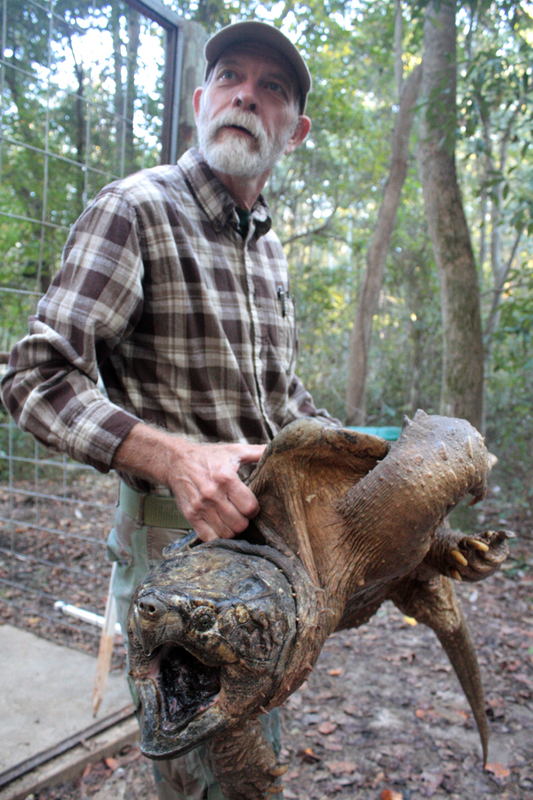 Nice story from an Alabama Department of Conservation and Natural Resource's Press Release. Last Month, Woody Bozeman was fishing the Tallapoosa River for catfish just off the boat ramp at Ft. Toulouse National Historic Park in Wetumpka, Ala.
At 11:30 p.m., he noticed the tip of his rod begin to bend slightly. 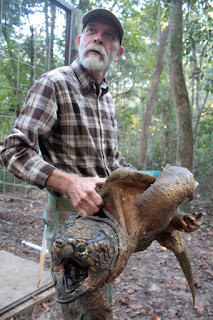 In the 40 minutes that followed as he brought his catch to the surface, Bozeman would be surprised by the creature he’d hooked -- an 83-pound alligator snapping turtle.